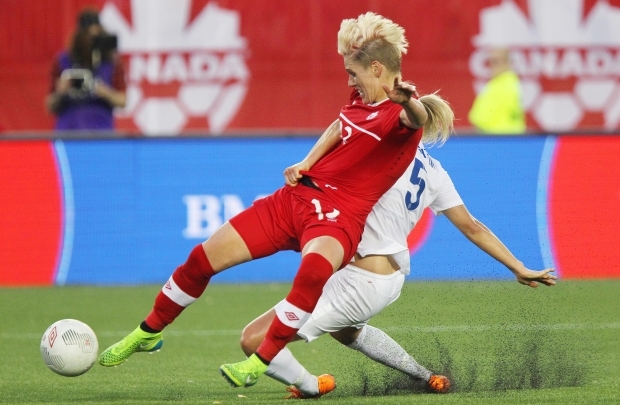 This Saturday, amid the continuing storm engulfing FIFA, the showpiece event of the women's game kicks off in Canada. Participants, fans and organizers of the seventh FIFA Women's World Cup, contested by 24 nations, will hope that the focus of the world's media will be on the pitch over the next month and away from some of the nonsense off of it. The 20-year-old Nigerian forward Asisat Oshoala was player of the tournament in last summer’s Women's Under-20s World Cup in Canada when she led her side to a final they would narrowly lose to Germany. 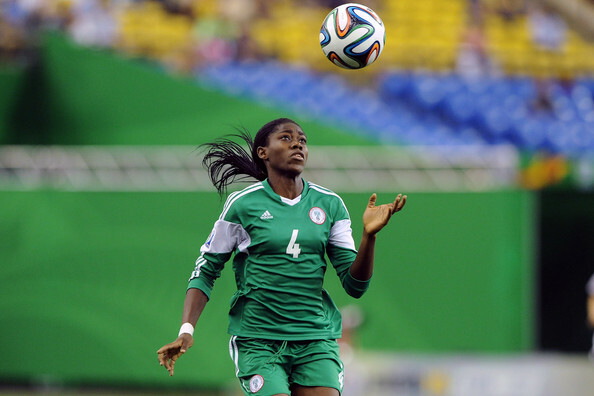 Oshoala plays her club football for Liverpool and was recently awarded the BBC Women's Footballer of the Year honour. The high scoring forward, who also won the African Women's Footballer of the Year in 2014, will be counted on to help Nigeria get out of Group D's 'Group of Death' which also contains Sweden, the United States and Australia. The five time FIFA World Women's Footballer of the year, the 29 year old Marta will be appearing in her fourth World Cup. The scorer of 79 goals in 91 matches for Brazil, Marta will be hoping to fire A Seleção to their first World Cup title this summer. Brazil will face Korea, Spain and Costa Rica in Group E.
Arguably the most famous player in women's soccer, a little too much focus has been on Alex Morgan's looks and not enough on her ability. The 25 year old forward, who has scored 51 goals in 84 matches for her country, was a member of the 2012 Olympic Gold Medal winning US side and was also a member of the squad that lost the 2011 World Cup Final to Japan. Morgan, who is reportedly suffering from a knee injury at the time of writing, will be a key part of the USWNT that is one of the favourites heading into this tournament if she's healthy. The driving force behind Japan's emotional triumph in the 2011 finals, which came only three months after the country had suffered a devastating earthquake, the 36 year old Homare Sawa will again be looked on to pull the strings in the Japanese midfield and provide some scoring punch. Sawa was the player of the tournament in Germany in 2011 and will be competing in her sixth finals. The defending champions Japan are in Group C with Switzerland, Cameroon and Ecuador. The 26 year old Sophie Schmidt gave women's football fans a glimpse of what she's capable of last Friday in Hamilton, when her wonder strike downed England 1-0 in a pre-tournament friendly. The goal has subsequently shown up in highlight clips around the world and one of Canada's lesser heralded players is no longer a well kept secret. Canadian coach John Herdman for his part has said that this is the tournament where Schmidt can step up and become Canada's midfield version of their legendary striker Christine Sinclair. The host nation, who will likely be without their midfield star Diana Matheson who is struggling to come back from a torn ACL and a broken foot, will certainly need Schmidt to step up if they are to progress far in this tournament. Canada opens the tournament on June 6 with a match against China, while New Zealand and first time entrants Netherlands round out Group A.